It is our mission to make quality healthcare accessible to everyone. Call us at (541) 930-7222 to confirm that we accept your plan. Southern Oregon Cardiology accepts payment from most major insurance providers including Medicare plans. We encourage our patients to familiarize themselves with their insurance coverage. Many insurance providers require prior authorization for surgeries and other procedures, and some restrict the facilities in which those services can be provided, including laboratory and certain imaging studies. We have staff dedicated to working with patient’s insurance plans to ensure coverage of services that we recommend. 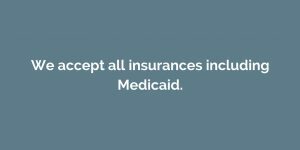 However, your own understanding of your insurance plan’s requirements will help you plan for your coverage and avoid unanticipated, out-of-pocket expenses. Our staff is committed to helping our patients understand their medical conditions as well as their treatments, and also their insurance coverage. If you have any questions or concerns, please call our Business Office at 541-930-7222 option 3. Cardiology patients have many different medical providers working together to supply your needed services. These include the primary physician, the cardiologist, the hospital or surgery center, and potentially an anesthesiologist and additional providers. In an effort to provide you with the tools you need to navigate the financial aspects of your surgery we have provided the billing contact phone numbers for Southern Oregon Cardiology and our key partners.